The Turkish government is hitting against the part which is not as strong as Russia and other regional partners of Syria. They are hitting back at the Kurds – at the Kurdish civil society in Turkey, says Karin Leukefeld, Middle East journalist. RT: Curfew, everyday clashes, talks and helicopters...is this an indication that Turkey is at the political tipping point? Karin Leukefeld: Not yet, but the situation is actually escalating. We can see within a few months Turkey shifted from peace talks with the Kurdish movement towards open war against the Kurdish movement and population within its borders. So, it is a very dangerous situation. RT: Many experts call Kurds the strongest force fighting ISIS on the ground. How doesn’t this give the Kurds more attention by the global community? The Kurds play a very important part in the struggle about Syria and the Syrian Kurds as we know have a close connection to the Kurds from Turkey. So, to hit the Kurds in Turkey means for the Turkish government to hit the Kurdish movement within Syria. And within Syria the Kurdish movement is fighting effectively against ISIS. So, ISIS in fact, is part of sort of an ally to the Turkish government, has been for quite a long time. And we see the US and Russia are backing the Kurdish movement within Syria. It is a very complex situation. RT: Why do you think is the international silent about it? KL: Definitely they deserve more attention. They deserve support for their political struggle, which is mainly about national, cultural rights. The West is backing down and is keeping silent about what’s happening there – it is really disgusting. Turkey is a partner in NATO, they have the second strongest army within NATO, so it is a NATO army actually fighting against the Kurdish population in Turkey. And Turkey is trying to become a member of the EU, and the EU is keeping silent on what is happening. 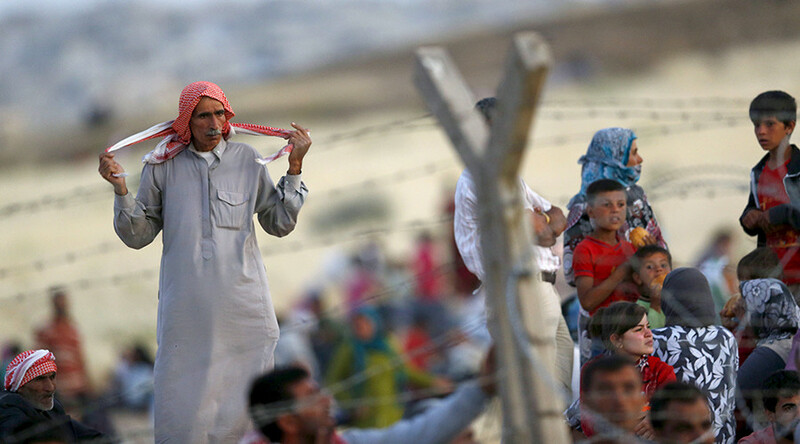 And they recently just agreed to give Turkey 3 billion euros to do something about refugees within Turkish borders. They are part of what is happening in Turkey against the Kurdish movement. The West is part of it. In Germany we heard the voice of the Left party who called for the government to stop selling weapons to Turkey, and they called the foreign minister to travel to Ankara to speak with the Turkish government about what is happening in the Kurdish areas. But this is a lonely voice among a lot of silence. It is very embarrassing for the European Union. RT: How do you evaluate the global media coverage of the developments in the south-east of Turkey? KL: The media is just like the Western politics. 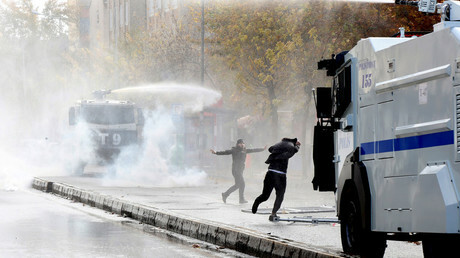 Our media here in Germany, we have a few reports, actually, but not enough for what is happening there – more than 100 people have been killed within Turkish cities inhabited by mainly Kurdish population. And we have a big Kurdish community in Germany and they have been very active, but politically wise they have kept silent. The media, you know, we have Christmas and when we have such a huge crisis and fighting around the Christmas days, the media has a prefabricated program and they just keep reporting what they have been planning for long weeks. I find it very embarrassing also as a journalist that the media are keeping silent about it. RT: What do you make of Turkish government’s true intentions there? KL: I think they want to show muscles. [Turkish Prime Minister Ahmet ] Davutoglu has said we are going to annihilate the Kurdish movement, the PKK, which is not possible. They are too strong politically and also militarily. The Turkish government wants to show muscles not only towards the Kurds, and its own Turkish population, but also regionally. They are a partner with Saudi Arabia and this new military alliance which Saudi Arabia announced. And they want to show muscles towards Russia who is a very strong player in the area backing the Syrian government. And this is something that Turkey cannot digest. Turkey wanted to break Syria, bring the Syrian government down and now they see they cannot get through with their plans. And I think they are hitting against the part which is not as strong as Russia and other regional partners of Syria. 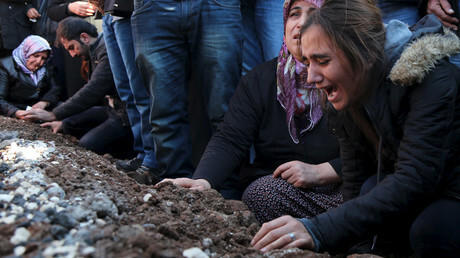 They are hitting back at the Kurds – at the Kurdish civil society in Turkey, which is very bad.